I had hiked for about an hour and despite being sweaty and tired I felt exhilarated. It was a beautiful day and there I was sitting on a rock on the side of a glorious mountain. I was meditating, feeling one with nature and in the midst of that quiet the answer to a question that had been troubling me appeared. Whamo! My intuition served up the perfect answer and I was stunned by the simplicity and wondered why I hadn’t thought of that answer before! One of the great challenges in business and in life is to be able to find the time for quiet contemplation. Too often we are rushed. We try to pack it all in. As overachievers we never have idle time because there is always something left undone or something that could be more perfect. We try to find the elusive work/life balance because we don’t leave that mentality at the office. Our personal lives are just as busy and the fear of failure drives us to frenzied, tightly packed schedules. In 1997 I was invited to a retreat in the Canadian Rocky Mountains. The participants were senior executives from all over the world. I didn’t know what to expect but the framework was simple. Discussions, hiking, good food and an opportunity to rest and reflect. But, it turned out that wasn’t even the half of it. By nature we are logical and emotional human beings. These faculties help us to navigate the decisions that life requires. We like to think that logic is the order of the day but in reality research shows that more than half of all decisions are driven by underlying emotions. We then wrap our decision in logic when we present it to others. Even when we use logic our mental capacity is only useful for equations with 4 or 5 variables. We can hold those 4 or 5 things in our memory while we consider alternatives and the implications from those decisions. Many problems have more than 5 variables and when this happens we can only process pieces of the problem. We think we have a good solution until someone reminds us of another variable and then it is back to the drawing board. 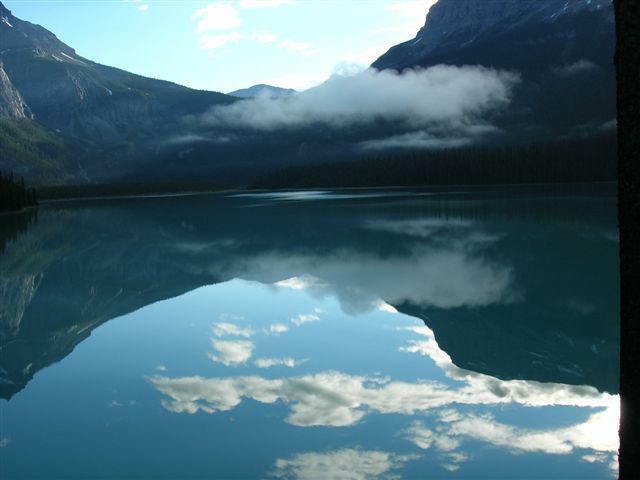 What we learned at Emerald Lake Lodge was to develop and trust our intuition. This isn’t “gut” feel but a higher intelligence. According to Ken Wilbur, author of A Brief History of Everything, our makeup includes Instinct, Intellect and Intuition. Our Instinct works in the subconscious realm, our Intellect in the conscious realm and our Intuition in the superconscious realm. Wilbur’s theory is that over time our conscious realm tool, rational thinking, is moving to subconscious while our intuition is moving into the conscious realm. What was really weird about learning to access intuition is that I had a long list of problems that had formed a logjam and caused me to feel frustrated. Mental frustration was causing me to be more openly emotional and I was just feeling imbalanced. There were tough leadership issues in our company at the time and I was nearly done with dealing with all the nonsense. Our process at Emerald Lake was to identify a problem. We were asked to write it out in some detail. Then we listened to some amazing classical music. During the music we were learning how to quiet our mental chatter and become aware of the emotions racing through our system. These too, we learned to quiet. At the end of the music we were asked to see the problem, dispassionately in our minds eye. Wow! I can’t tell you how many times scaling mountains became a simple few steps! I felt stupid and brilliant all at the same moment! In the years since then I have nurtured this skill and have taught others, in business and in my personal life. The ability to be more consciously intuitive is part of the equipment we all have. You don’t need to go to Emerald Lake to find your intuition (although I go every year to continue with my learning). You could find a meditation class or a Mindfulness course. These are a good start because they set the stage for our intuition to begin to function. Leaders in a company have a huge impact on the lives employees. Knowing ones self is a critical step in being good at providing great feedback. I have found that improved presence and awareness help me to get to the core issues with people much faster. Helping them to be better employees means getting all of my noise out of the way so that I can be in real service to my people. If you are tired or even exhausted and you want to find a better way, let me know. Perhaps I will set up a mini-Emerald Lake experience here in Toronto!